"Great user facing design; limitations for advanced customers"
ESO EHR delivers an excellent, highly-usable user interface to front-line medics and to clinical managers. This interface is fast, readable, and makes completing patient charts or looking up performance analytics quick and easy. Unfortunately, ESO still relies on obsolete Silverlight technology to power backend administration tools and chart auditing tools. This creates serious browser compatibility challenges and forces these tools to run slowly and feel out of place with the more modern components. Lack of customizable fields and advanced full-access data connections are a challenge for larger and more advanced EMS agencies. 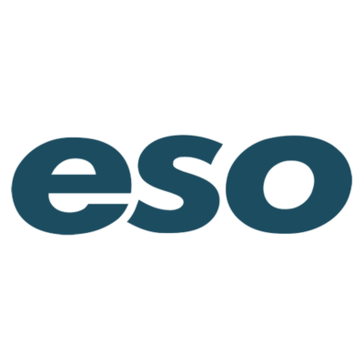 ESO as a company has solid leadership with an incredible depth of EMS experience; the CEO, Chris Dillie, has roots in EMS; the VP for EHR, Kenny Schnell, has a long career in EMS management at innovative agencies, and the VP for analytics and HDE, Allen Johnson, also has a long career in EMS and emergency healthcare. ESO EHR is a well-designed product liked by the medics and managers who use it. It does have gaps with customization and reporting, but these are being addressed by the company and they approach design decisions with a long-term view. Support is fast, helpful, and very hands-on when needed. Implementation was made easy and a wealth of training resources were available. The only significant gap is the limitations of the chart audit/review functionality; it is adequate but nowhere near complete. And for agencies with high-end data analyst competencies, ESO EHR has limited direct data access. However, both of these problems are being addressed. Challenges with a key competitor's product led our agency to explore available NEMSIS 3 options. With ESO EHR, we've ended up with fewer in-house IT support needs and a faster, smoother training and on-boarding process for new employees. Additionally, the analytics tools have enabled non-technical managers to quickly generate their own reports and explore data to monitor key performance metrics. "Great Way to View Schedule"
I like that it allows you to view your schedule a month in advance, as well as how everyone is scheduled within your organization. It also allows you to see if you've accumulated any points, which I like, and it makes it easy to request shifts off. The first time I synced my calendar to my Google Calendar, it didn't show all the shifts that I was scheduled when I looked at the calendar in my Android phone. Eventually, it did show the rest of my shifts for the next month, so I'm assuming it only does one month at a time until the previous month is almost up. Seeing what shifts you're scheduled and who you're going to be working with in advance. ESO is extremely user friendly. It is very easy to use and understand. Once you get used to it, patient information can be entered in extremely quickly and efficiently. The system tends to log out very quickly. There isn’t a way to opt that it won’t log out until the call being run is completed and locked. I use ESO as an EMT for a medical transport company. It is a great way for chatting and logging patient information. "Did not like eso epcr"
I don’t believe I saw any benefits I wasn’t in the billing area that may have used some of the other areas I worked at. I do not like it dealing with the patient aspect of everything. "A sea of check boxes." I suppose if I had to come up with something I like about the program it would be the color scheme. I dislike that you have be so redundant it takes forever to get any paperwork completed. Make integration with monitor easier. I suppose the business office has gotten more $ back from Medicare because of the countless number of check boxes. Easy to use, flows well, and intuitive to use. Records compilation and management. Streamlined billing. * We monitor all ESO EHR reviews to prevent fraudulent reviews and keep review quality high. We do not post reviews by company employees or direct competitors. Validated reviews require the user to submit a screenshot of the product containing their user ID, in order to verify a user is an actual user of the product. Hi there! Are you looking to implement a solution like ESO EHR?